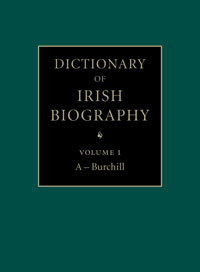 Many thanks to our former colleague, John Fanagan, who has generously donated to our Library the newly-published Dictionary of Irish Biography. It covers "9,700 lives; 700 contributors; 8 million words; over 2000 years of history." It presents us with is a resource of enormous importance, not only for professional students and scholars, but for every literate person on the island. As an Irish work of reference, it is nonpareil. Just by dipping in to any ten or twenty pages of any of the volumes, the average person will strengthen his or her sense of being a link in the human chain that binds us by affection and election to a large, liberating and reimagined Irish community. Any household that can afford it should possess it, even before it comes on line. Already it is a browser’s paradise, a Plutarch for the people, an annals of Ulster and a Hibernian Book of the Dead all rolled into one.